We are loving moonstone and aquamarine so much right now! They're dreamy and make us think of blue skies and clear water. Both stones are said to promote a sense of calmness and help reduce stress. We are totally all about those vibes. The pieces above are from San Francisco jewelry artist, Mashka. We have lots of other moonstone and aquamarine pieces to choose from in-store and online. 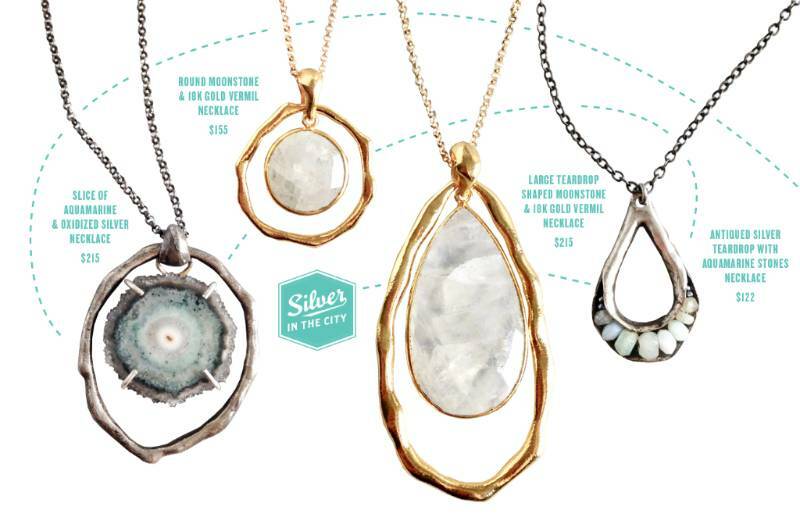 Add a few pieces featuring these stones to your wardrobe and let's chill out and welcome the summer weather!